Still from a VideoSmarts commercial, showing the console and some of the games. In October 1985, Wausau, Wisconsin-based company Connor Forest Industries, Inc decided to branch out into the edutainment area of the videogame market. In order to facilitate this new arm of their business, they created the Connor Toy Corporation and Connor Electronics. Between the years 1986 and 1990, these two subsidiaries produced at least three different edutainment game consoles. 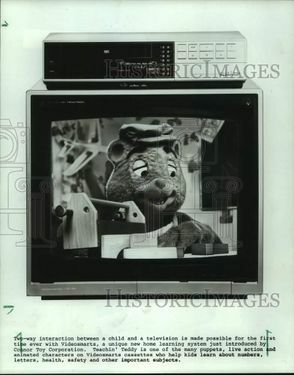 The VideoSmarts, released in 1986, was aimed at children age 3 and up. The ComputerSmarts, released in 1987, was aimed at fourth and fifth graders. Very little information exists for their third console, the Video Phone, and it is unknown when this variant was released. Most of their games were held on VHS tapes, as Connor wished to incorporate full-motion video. At the time, CD technology was not yet capable of storing sufficient video data, and while some companies used LaserDisc, these were very expensive. However, as VCRs were common in households at the time, Connor decided to use VHS tapes, and users were expected to connect their existing VCRs to the main console. Connor president David L. Vergeyle also noted that children had become very comfortable with using televisions and VCRs in the home, so it seemed like a good way to engage them in the learning process. The videos themselves most often featured multiple puppet characters that addressed the viewer directly. The footage would also cut to traditionally-animated characters to explain certain concepts in more detail. In addition to the VHS tapes, the Connor ComputerSmarts featured a cartridge slot, though it is unclear how many cartridge games were produced. It is also unclear if these cartridges worked in tandem with the VHS tapes, or if they were separate games to be used when the ComputerSmarts was not connected to the VCR. Connor Toy Company and Connor Electronics are believed to have collapsed somewhere between 1988 and 1990 with poor sales of the ComputerSmarts console considered the main culprit. A commercial has surfaced from 1990 revealing that Video Technology Inc (VTech) later distributed the VideoSmarts, but it is unclear what their relationship with Connor was at that point. Since then, Connor's three edutainment consoles have fallen into obscurity, with consoles and VHS tapes only occasionally appearing for sale on sites like eBay. 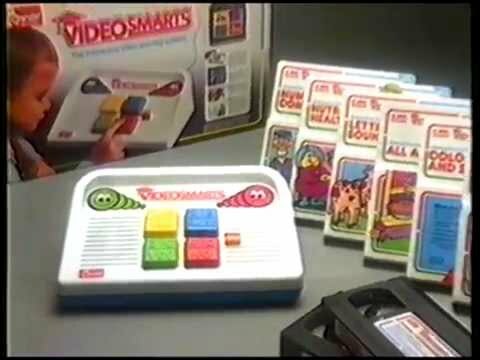 The VideoSmarts was Connor's first edutainment console, released in 1986. It was the first game console in the world to use VHS tapes to hold the game data. The console had four large buttons and a built-in speaker. It was connected to the audio output of the VCR in order to receive signals from the tape. The main character was a puppet known as Teachin' Teddy. This puppet often played the role of a young child who would learn the lessons alongside the viewer. Teachin' Teddy was accompanied by Roger Parrot and Penelope Goldfish. They would often speak to the viewer directly and pose the questions. The signals from through the audio line would tell the console which was the correct answer, and a calm voice from the internal speaker would tell the user whether they got the answer correct. 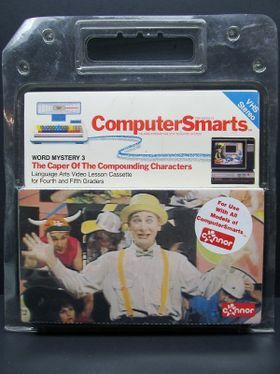 The ComputerSmarts was a follow-up to the VideoSmarts, released in 1987. It was more complex, ditching the simple four large buttons for a full QWERTY keyboard. The console still plugged into the VCR via the audio output jack to receive signals from the tapes. However, users were now expected to type either single letters or entire words to increase their score. Feedback came from either the small single-line LCD screen on the console, or an internal speaker, similar to VideoSmarts. In addition to VHS tapes, the console had a cartridge port. It is unknown how many cartridge games were released, or if the cartridges and VHS tapes could be used at the same time. The console did have a "portable mode" that did not require a VCR, so it is possible that the cartridges were used only in that mode. It was aimed at an older audience, with the tapes claiming to be for fourth and fifth-grade children. Teachin' Teddy and his friends were replaced by two aliens, Beek and Rains, as well as a talking computer screen named DJ. It was notable for using human actors as side characters who would either help or hinder the puppets. The first of the two main VHS series, known as "Word Mysteries", focused on sentence structure and parts-of-speech. It is believed that four tapes were created for this series. A second series, known as "Math Skills", has at least one episode focusing on moving from the 'ones place' to the 'tens place', dealing with double-digit numbers, and counting to one-hundred . It is unknown if any other episodes were created. Double Digit Double Trouble Lost Seen during the Video Guided Tour alongside four other cartridges. This was the only one with its name visible. Very little information is available on the VideoPhone. On June 19, 2018, YouTube user Kevin McQueary uploaded a video taken from a camcorder pointed at a computer screen. An eBay listing for the "Connor VideoPhone" is shown on-screen. The listing itself is no longer viewable on eBay, and no other evidence of this console variant has resurfaced. 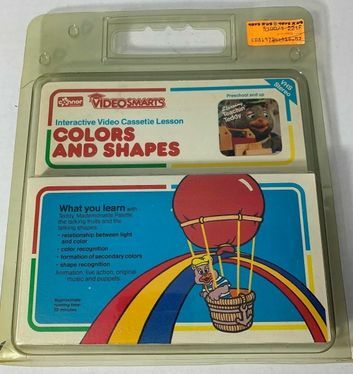 The console appears to have the same four-button arrangement as the original VideoSmarts, and the box has the same image of a VCR and the Teachin' Teddy character as the original VideoSmarts packaging. It is unknown if this was just a different form factor for the original VideoSmarts console, or if this console had a different set of games which utilized the phone handset. Collection of advertisements/trailers for the Connor VideoSmarts and ComputerSmarts (Courtesy of Elijah Hechtman). The only known proof of the existence of the Connor VideoPhone variant (Courtesy of Kevin McQueary). One of the few videos of the ComputerSmarts game console in action (Courtesy of briannamoller). 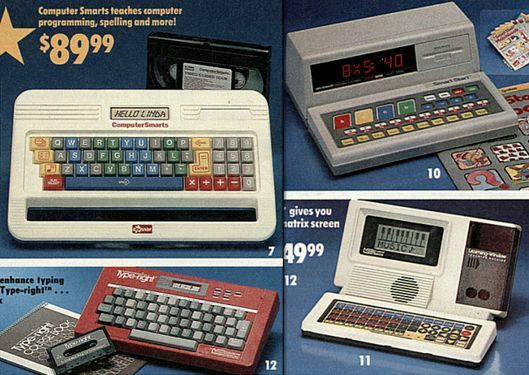 One of the few known advertisements for the ComputerSmarts (top left), alongside other children's educational computers. A rare press photo discussing the 1986 release of the VideoSmarts. 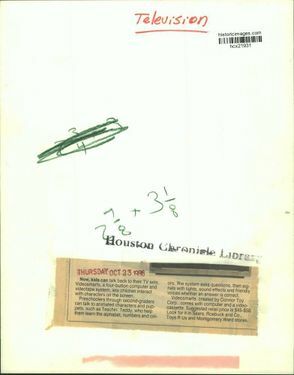 The back of the rare press photo, which discusses the launch of the VideoSmarts. An example of the VideoSmarts game packaging. An example of the ComputerSmarts game packaging. 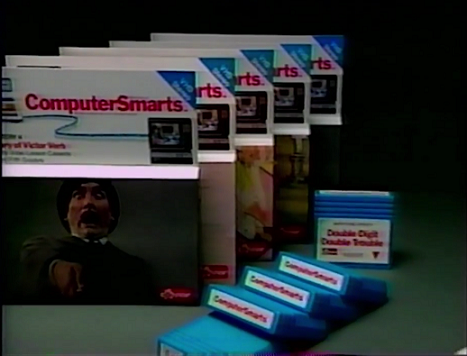 Screenshot of ComputerSmarts advert, showing a set of five cartridges. 'Double Digits, Double Trouble' is the only cartridge with a visible name.